Altered Instinct: The Star Wars discussion... where you can discuss it WITH SPOILERS. The Star Wars discussion... where you can discuss it WITH SPOILERS. 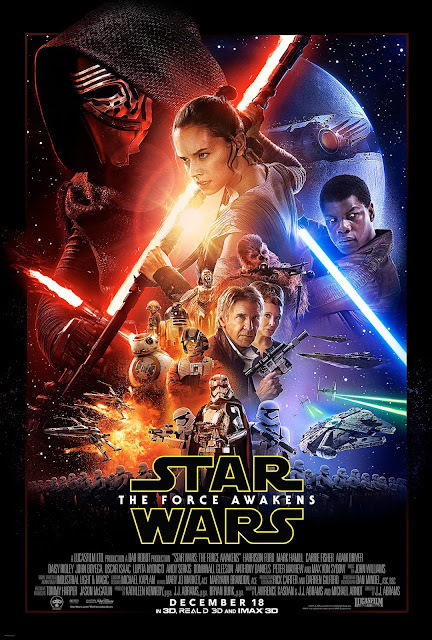 Around the world, people are starting to watch Star Wars: The Force Awakens. I know a fair few people will be bursting to talk about it - but hesitant to do so because they don't want to spoil it for other people. So here, I open up a page of the blog for friends to dive into and chat about it safe in the knowledge that they are talking about it only with others who have already seen the movie - and those that have not seen it will be fully warned ahead of time before the discussion takes place. As for me, I don't see it until Friday, so I'll join in any discussion then. Until then, the comments space is all yours. Enjoy! OK, I am kicking off this comments section... with the things I want to know, dammit! Rey - Who is she? Snoke = Who is he? BB8 - Who built it? Rey - Was it just luck BB8 found her? I though Adam' performance was a strong part of the film, his rage, his brattines, invoked the feeling of his Grandfather, but still gave us a strong presence and a chance to see it ddevlope to real bad assery. and the scene with him and Han makes the movie. I think people will be quite split on him - I thought he was really good, and portrayed a villainous character that wasn't quite as powerful as he wanted to be, seemed very frustrated by his inability to become the menace that went before him. He's set up for an intriguing journey now - but I do get the feeling that the more bratty nature of some of his character's actions will really annoy some. Anyone else feel that Luke should have used the force to take the light sabre out of her hands and fired the damn thing up. It felt anti climatic. Actually, I liked that. It just left it hanging in the air with a big "What next?"